FastTrack can help you to automatically configure Outlook profiles, install corporate signatures and to back up your users' PST files automatically or by user initiation. FastTrack also allows you to query information from Outlook that is not otherwise easily accessible, such as identifying, if users have illegal accounts mapped in their Outlook profile. Read on for a quick walkthrough of Outlook automations. 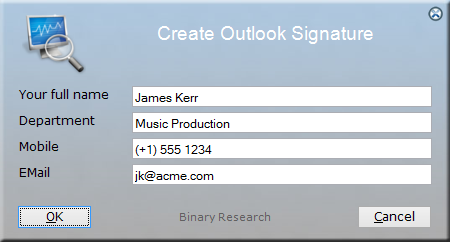 The easiest way to deploy signatures, profiles and setting is to use the Logon Script Builder, as shown below. You set up a configuration for a logon script through a wizard, and you are set. This is explained in greater detail at www.fasttracklogon.com. If you do not wish to a setup a logon script, each section below shows you alternatives. It allows you to pick any Active Directory attribute to use in the signature. Once the signature is designed, you can either use the Home Screen wizard to build a stand-alone application (EXE or MSI file), or you can deploy through a logon script as explained above. If you use the logon script wizard, this will automatically by handled for you on the "Maiboxes" tab. The easiest way to get the InstallOutlookProfile command executed, is to set up a FastTrack Logon Script. To set up a FastTrack Logon Script, start the wizard from the Home Screen or from the top menu in the Script Editor. Once you have set up the logon script, use the "Edit Logon Script" option and go to the Script Editor. Here you can append the command to the logon script. You must put a PRF file into the newly created FSHBin folder on your netlogon share and insert the InstallOutlookProfile command (passing the PRF file without path as the only parameter as shown further up) into the logon script and you are all done. You can also build a custom script in the Script Editor and compile it into an exe file to use with your existing logon script. Or you can use the Signature wizard to create a stand-alone application (EXE or MSI file). 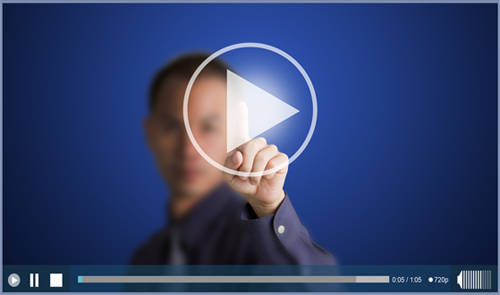 The Signature wizard allows you to install an Exchange profile or a custom PRF file. Notice that if you are installing a signature and an Outlook profile in the same script, you must use the InstallExchangeProfile or InstallOutlookProfile command before using the InstallSignature command. This is because an Outlook profile is a prerequisite for installing a signature. If you use the logon script or signature wizard, the order will automatically be correct. You can however use any FastTrack function on the right side of equal signs (as PRF files are INI files), in case you need the script to generate information. If we defined a variable named "RealUserName", because the account should not be the same as the logged on user name, we can use the "Var" function inside the PRF file, as shown below, where also the name of the home server is set from a variable. 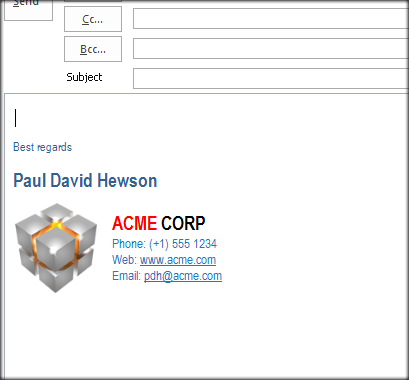 Notice in the example above that the MailboxName has two equal signs in front of the mail box name. This is to avoid a pop-up to the user to select mailbox, in case multiple mailboxes partially match the specified name. The first equal sign is to split the key and value and the second is to state explicitly that only the exact mailbox name may be matched. If the variable contains "Paul", the value is therefore "=Paul" instead of just "Paul". It is easy to use any other kind of logic, such as using the UserIsInOU condition to determine Organizational Unit. The page here explains how to create advanced logon scripts, which also covers the most typical conditions you would apply to profile and signature logic. Backing up PST files (Personal Storage Table) is a classic nightmare for any systems administrator, because they are often huge in size and many users simply abuse the possibility to store unlimited information. 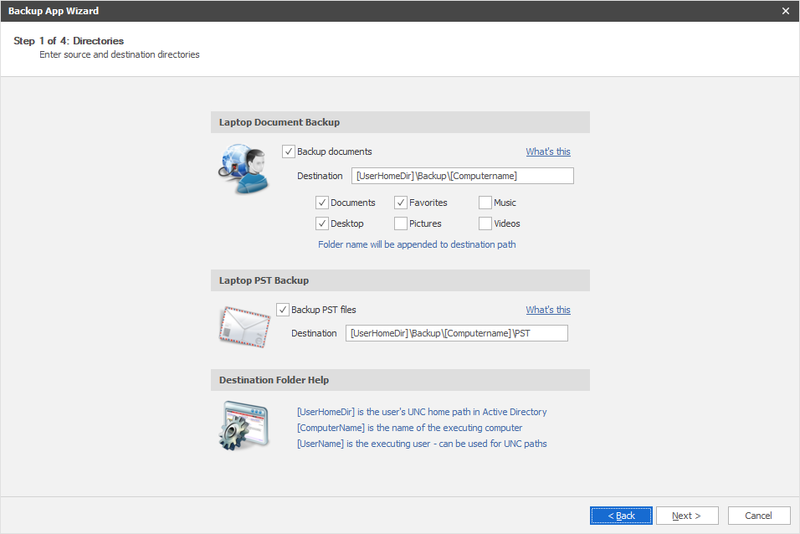 If you do not like to backup the PST files as part of your logon script, you can use the "Backup App" wizard from the Home Screen. This will allow you to create either an unattended exe file to backup or to create an ad-hoc exe file for users to start. In the middle page of the wizard, select PST as the source directory. We can also use the OutlookAccounts collection to create a file for each user on a hidden network share with a list of Outlook accounts for each user, as shown below. Using the UserName function as part of the file name will create one file for each user. These lines could be used from a logon script to log all mapped Outlook user accounts for all users on the network. You can also write a small script snippet yourself in your logon script, after you used the setup wizard. This would be the case, if you have build a logon script manually, not using the logon script wizard. You can press play on the video below to watch Ryan Akers from SrekaIT walk you through the process of manually writing a script for Outlook signatures, as part of a logon script. Essentially you must save your signature to the "fshbin" folder on your netlogon share, where your logon script is located. If the above file was saved as "AcmeSig.docx" to the fshbin folder on netlogon, all we need to do is to insert these lines into the prelogon.fsh file. Note that if you used the logon script wizard to create the initial script, these lines are already created for you. If you use the Professional, Enterprise or Platinum edition, you can build logic into your logon script. You can use simple conditions to determine which signature template file to install through the InstallSignature command. You can use a simple condition like UserIsInOU to install a signature only for users in a specific OU. Or you can check IP scope, logon server, use geodata (city) or any other FastTrack condition, to determine the correct signature to use. You are welcome to contact FastTrack Support using the "Contact" menu at the top menu, if you need more information on how to do this. The example below installs one signature for users in a certain group and another for everyone else, assuming both files are located in the same folder as the logon script (the FSHBin folder on netlogon). 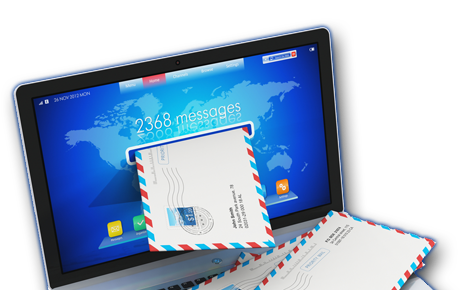 The InstallDefaultSignature produces the same result as using InstallSignature, SetNewEmailSignature and SetReplyEmailSignature in turn. If you use the Professional, Enterprise or Platinum edition, you can choose not to build a simple deployable exe or msi package. Instead you can use the exe building feature of FastTrack Automation Studio's Script Editor to build a custom exe application. If your Active Directory is not current with all information, it is not possible to push a signature automatically. In this case, you can build an exe file that users can start that pre-populates fields with Active Directory information, but lets users overwrite information before installing the signature, as shown below. 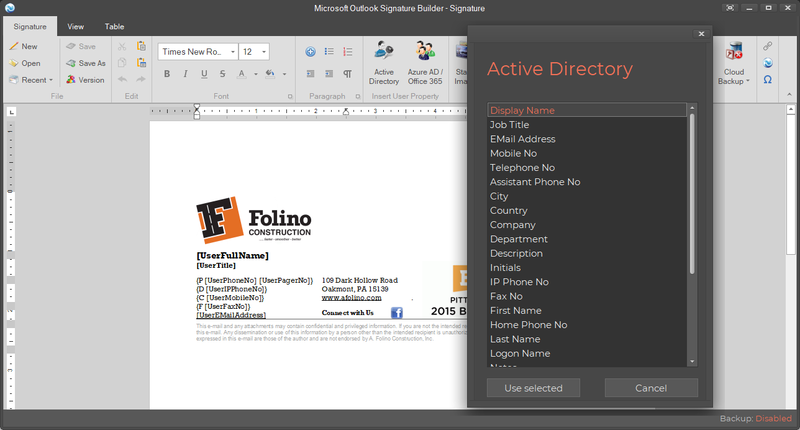 Building a signature application is covered on a separate page; click here to go to the page, which is a FastTrack script of only 8 lines that can be compiled into an exe file.